The National Football League and its commissioner, Roger Goodell, have been named the recipients of the National Football Foundation Gold Medal. The award is the highest honor presented by the organization, recognizing individuals who reflect the leadership values promoted by amateur football. 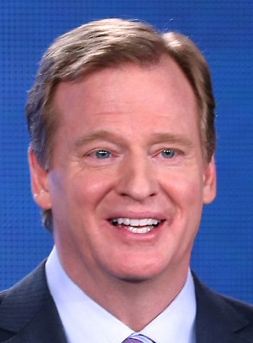 Goodell becomes the 59th recipient of the award. Among those who have also received the NFF Gold Medal are actor John Wayne, MLB Hall of Famer Jackie Robinson, as well as seven U.S. presidents. The NFL has been a long-time supporter of the NFF. The league endows the NFF National Scholar-Athlete Awards and helped launch the organization’s Play It Smart program, which places academic coaches on football teams in disadvantaged communities.